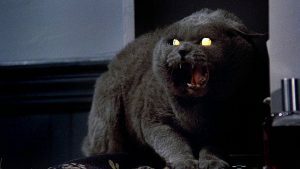 A monster movie set in New York City? That’s enough to hook us in that’s for sure. 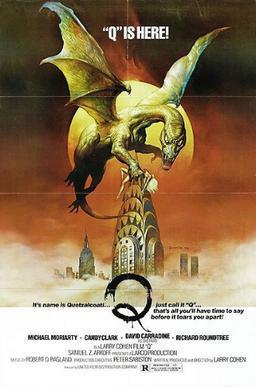 With the passing of noted horror/genre director Larry Cohen, we decided to take a look at one of his lesser-known efforts with Q The Winged Serpent. Produced and directed by Larry Cohen and starring the awesome Michael Moriarty, Candy Clark, and the incredible David Carradine, and Richard Roundtree, this one is an exercise in guerrilla film-making. There doesn’t seem to be a permit to be found for some of these location shoots. A bunch of Big Apple dwellers end up dead, their heads torn off. And NYPD detectives Carradine and Roundtree (Shaft!) are tasked to get to the bottom of it. And Michael Moriarty is a sad-sack bank robber who’s the getaway driver for a bunch of jewel thieves. He’s the one who first gets wind of the crazy attacks and doesn’t know what to do. 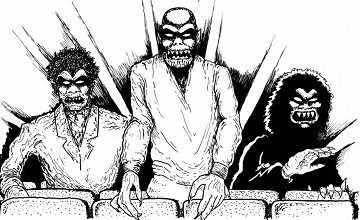 Ultimately, Q is a monster movie, a throwback to those 50s creature features we’ve come to know and love. It’s got incredible location shots including Canal Street, and of course the iconic Chrysler Building. And Moriarty gets to show off some piano chops. David Carradine brings a certain charming indifference to the cop role, but hey, it’s still super fun. You’ll have fun watching this one.